Yesterday, we had the opportunity to attend the excellent ServerlessDays Zurich event which brought together folks interested in serverless technologies in Zurich. It was an all day event with 66 folks in attendance. From the 10th until 13th of December 2018 in Nicosia, Cyprus, the 10th IEEE International Conference on Cloud Computing Technology and Science took place. This slightly delayed conference report briefly recapitulates the event from our subjective participation perspective. Our SPLab organised a full day workshop on cloud-native applications (see the web page and call for papers of the CNAX 2018) within the IEEE/ACM UCC/BDCAT 2018 umbrella. The workshop was organised in collaboration with Ivo Krka from Google and also supported by Jorge Cardoso from Huawei. The blending of industry and academic research has always been a key point in cloud-native work which relies heavily on fast-paced innovation. From December 17 to 20, 2018, our lab proudly hosted the 11th IEEE/ACM International Conference on Utility and Cloud Computing (UCC) along with its collocated event 5th IEEE/ACM International Conference on Big Data Computing, Applications and Technologies (BDCAT). 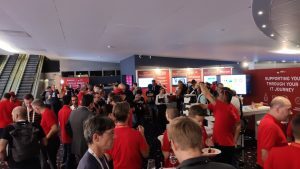 We welcomed around 200 attendees in the Zurich Technopark, making it a record event in the multi-year conference series, the biggest neutral cloud conference in Switzerland, and a successful venue to present and discuss recent advances around the wider field of utility, big data and cloud computing. This blogpost briefly summarises the event and gives some information about how it came all together. At Zurich University of Applied Sciences, in particular at the Service Prototyping Lab, we are very proud to announce a packed global technology event week which brings many international experts in cloud computing, big data computing and serverless computing into little Switzerland. 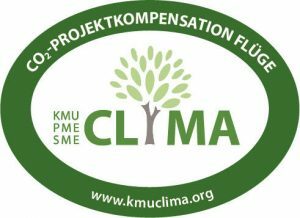 Join us for more than 140 unique technical and scientific talks over five days! From the 17th to the 20th of December, we expect around 200 attendees at the Technopark to discuss trends and progress on many cloud and big data topics. Apart from the two main conference tracks, there will be a cloud challenge, a doctoral forum, a posters presentation, 4 tutorials, and 8 workshops on diverse emerging topics (e.g. cloud-native, sustainable big data for environments, software testing, security and trust). Broad industry support is lined up to support the event with attendees and corporate support. Daypasses start at 350 CHF. Check the UCC and BDCAT websites for programme and registration! In addition to UCC and BDCAT, we offer a community-priced event on the 21st of December where starting with 50 CHF you can attend to listen to 16 expert talks and tutorials on the trend topics of serverless computing, FaaS and cloud functions. Check the ESSCA website for programme and registration! T he past September 11th the annual Red Hat Forum of Switzerland took place at the Arena Sihlcity in Zurich and, of course, we were there! The European Conference on Service-Oriented and Cloud Computing (ESOCC) is among the most recognised community-run venues to discuss technological advances among researchers and practitioners. 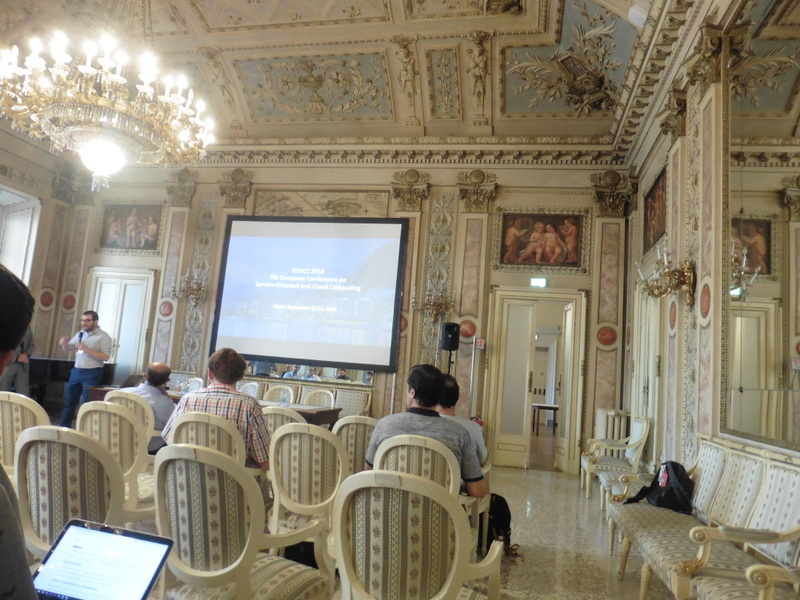 Its 7th edition (ESOCC 2018) just took place in Como, Italy, and we were participating for three reasons: to present a paper on migrating multi-container applications between clouds, to sense new challenges ahead especially in the cloud-native space, and to connect stronger to fellow researchers from across the continent. 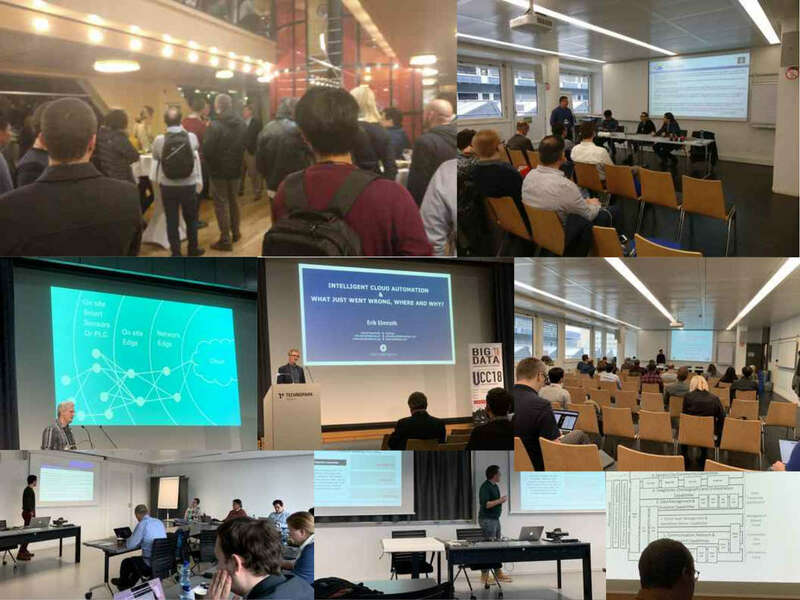 ESSCA – the European Symposium on Serverless Computing and Applications – is happening on 21 December 2018 in the ZHAW Toni-Areal tower in Zurich, Switzerland. Do you have anything to share related to FaaS, cloud functions, serverless applications and systems, as well as related technologies and software development experience? Please submit your proposals accordingly until 1 September. Do not miss this opportunity to spread and deepen your knowledge on FaaS!